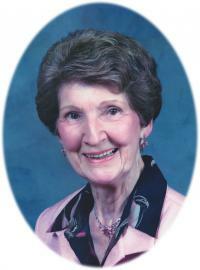 It is with heavy hearts we announce the passing of Pat on Thursday, July 17, 2014 at the age of 93 years. She lived a rich, full life with her family and enjoyed a wide circle of friends in Edmonton. She will be forever loved and remembered by son Robert (Aritha); two grandchildren, Jacqueline and Jordon Gowans; and their father Jim Gowans; special niece, Ann Parker; three sisters, Ethel Nielsen of Vancouver, Marc Peterson of Kelowna, and Marie Byar of Sherwood Park; nieces, nephews, extended family and many friends. She was predeceased by her husband Howard, and daughter Kathleen. A Memorial Service and Celebration of Pat’s life will be held at Foster and McGarvey Funeral Home, 10011-114 Street, Edmonton, on Wednesday, July 30, 2014 at 11:00 a.m. In lieu of flowers, donations may be made in Pat’s memory to the Royal Alexandra Hospital, Women’s Auxiliary, 10240 Kingsway Avenue, Edmonton, AB T5H 3V9.